Auto parts stainless steel diesel engine fuel pump american clamp. Package: 10 pieces in small inner box, 100 pieces in inner box. 400 S.S. (W2): Band & Housing are made of AISI 430 Stainless Steel, but Screw is plated carbon steel. 300 S.S. (W4): Band, Housing & screw are made of AISI 304 Stainless Steel. 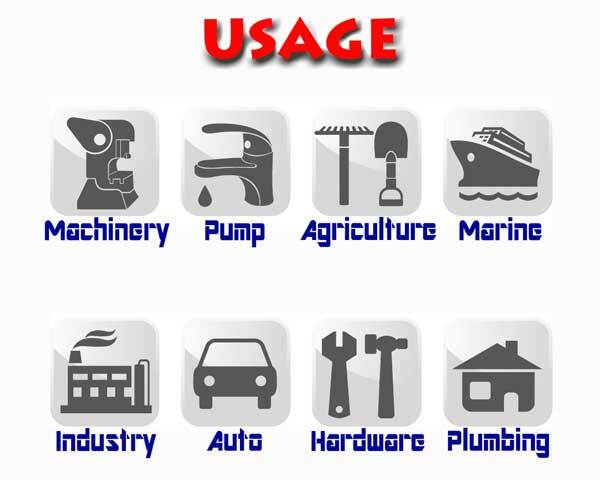 Application: Hardware, Auto, Industry, Machinery, Hydraulic. Small quantities sending by express. Goods less 500 kgs suggested sending by air cargo. 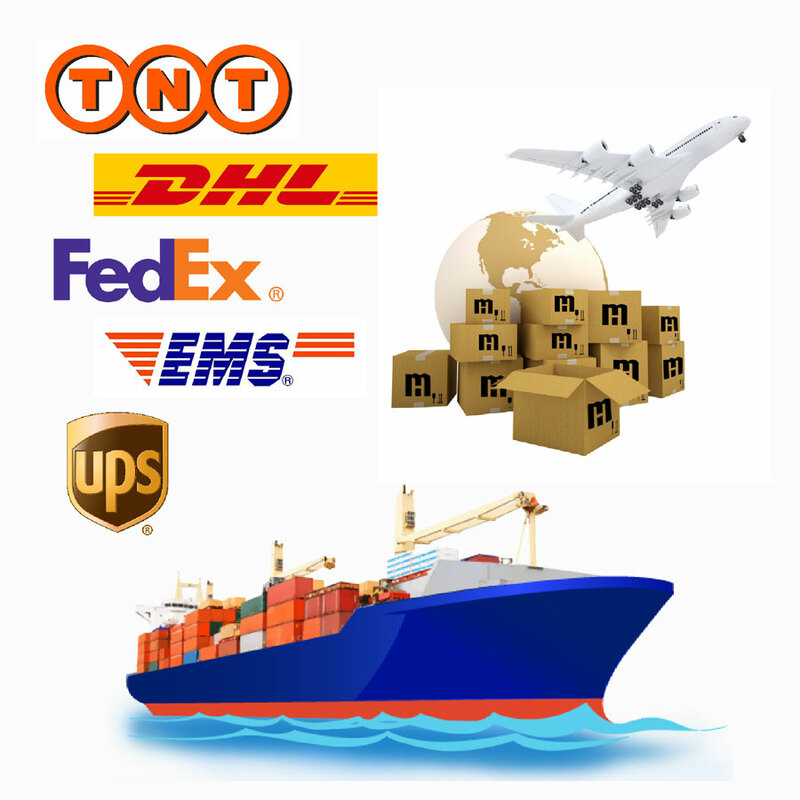 Mass order shipping by sea LCL or FCL. 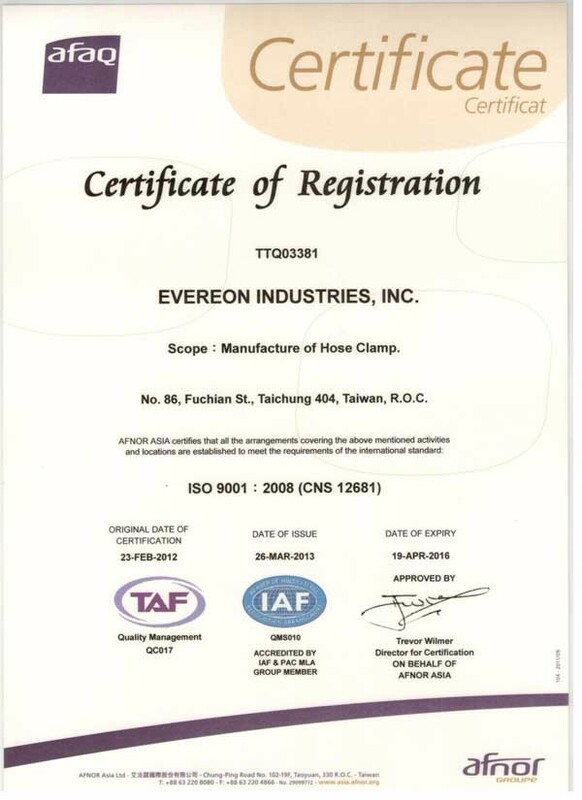 EVEREON Industries, Inc. is a professional manufacturing factory of HOSE CLAMPS in Taiwan, and YDS is our brand. 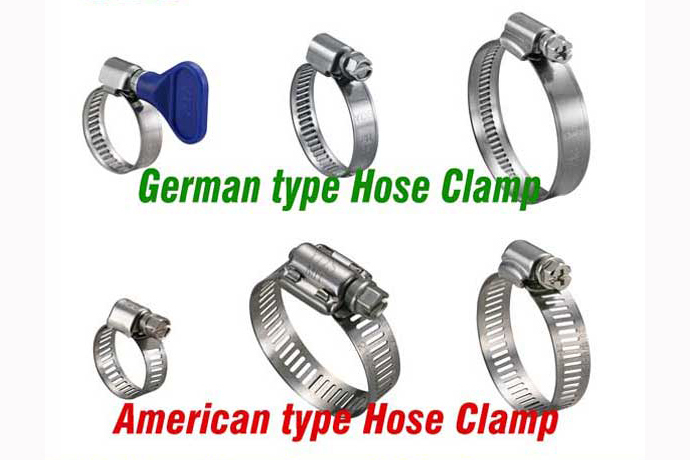 Our YDS hose clamps have been sold to around the world like USA, Mexico, UK, Spain, Italy, Netherlands, Poland, Russia, Japan, Thailand, Malaysia, Vietnam, Australia…etc. We will do our best let our YDS brand grow up to build business relationship with more valued customers year by year. Hose clamp is a small hardware, but it is important for connection. A good hose clamp should be easy to drive and clamped on hose tightening prevent connection from leaking. 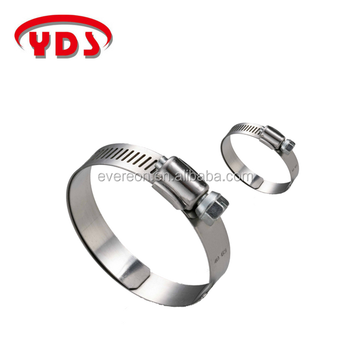 As a result, we, YDS hose clamp, think of users feeling and pay attention on all details to produce stable, durable, and qualified hose clamps for customers. 2. R & D lab. 5. QC & QA lab. 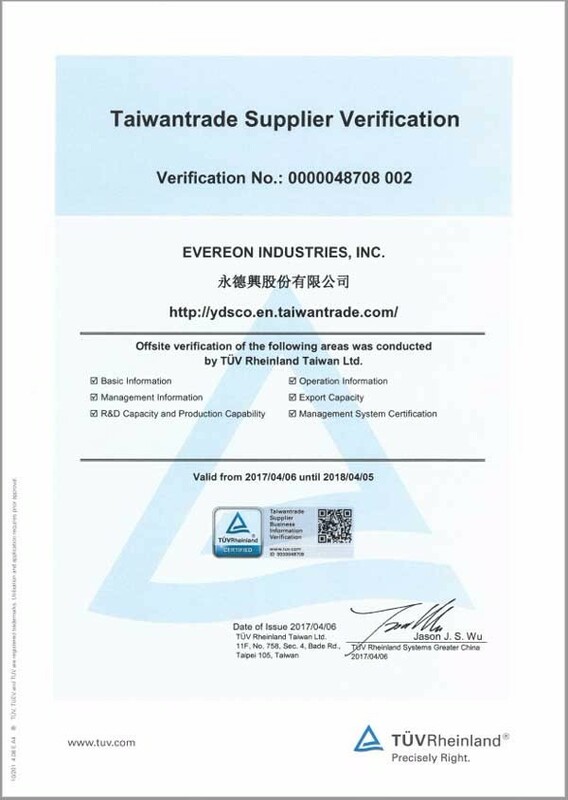 EVEREON Industries, Inc. founded in 1994. 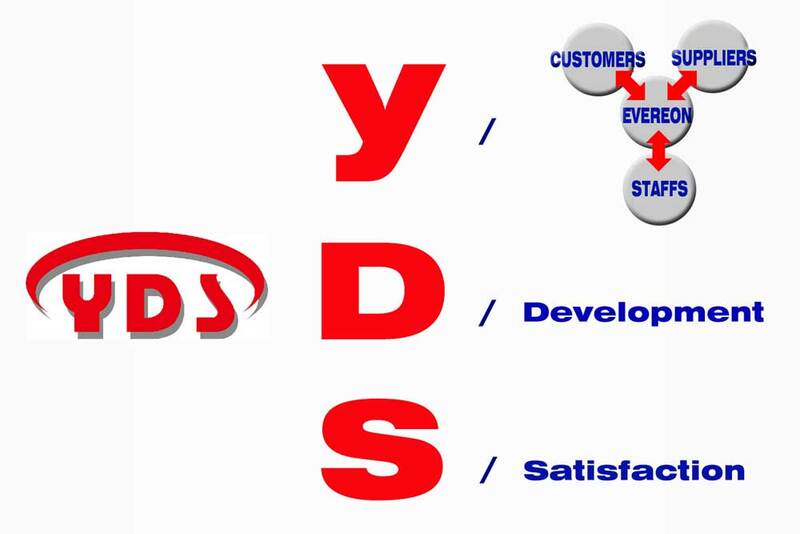 YDS logo registered in 1999. 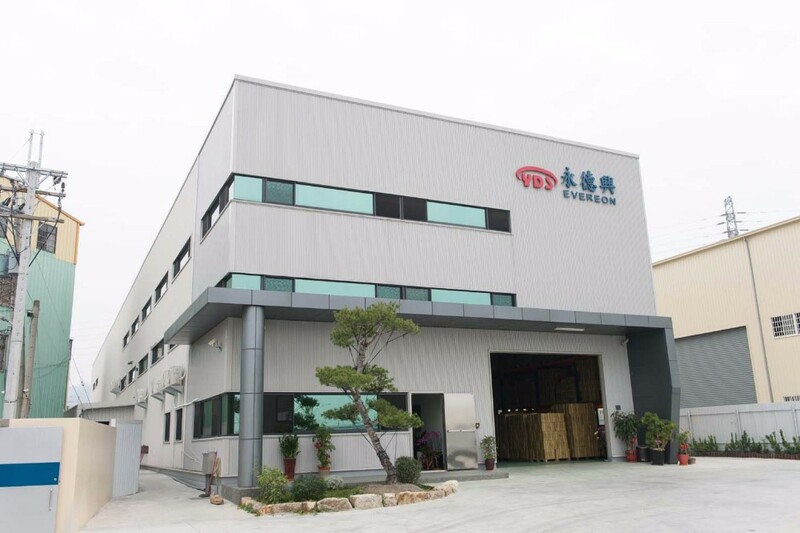 Our factory is located in Taichung, Taiwan. 1. 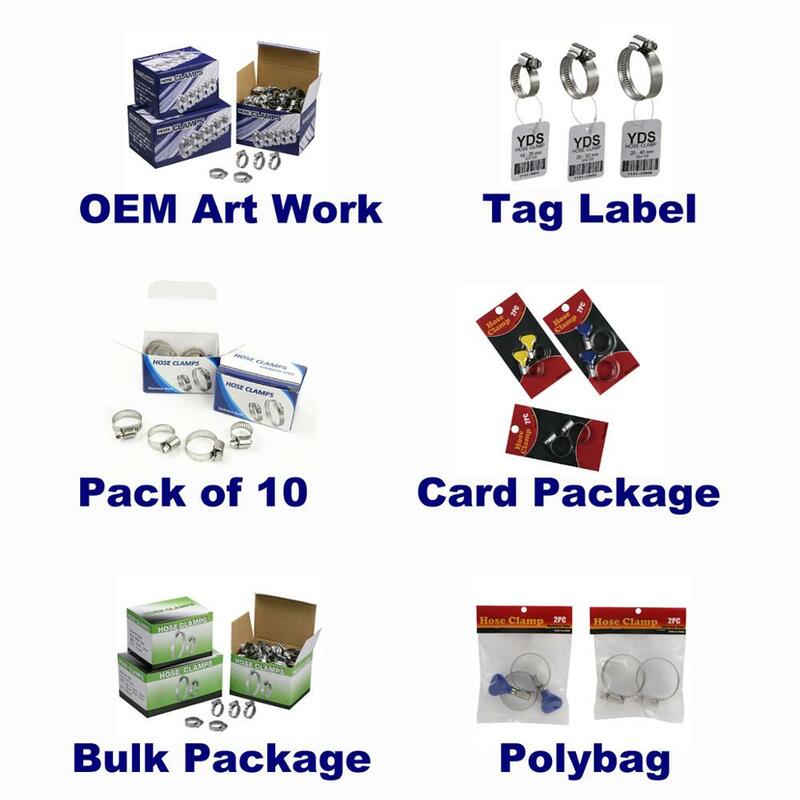 Help customers to have customized product. 2. OEM product is acceptable. 3. Factory direct to you. 4. Accept small quantities trial order. 5. Customer OEM art work is acceptable. Q: Are you a trading company or manufacturing company ? A: We are a professional manufacturing factory of hose clamps in Taiwan. 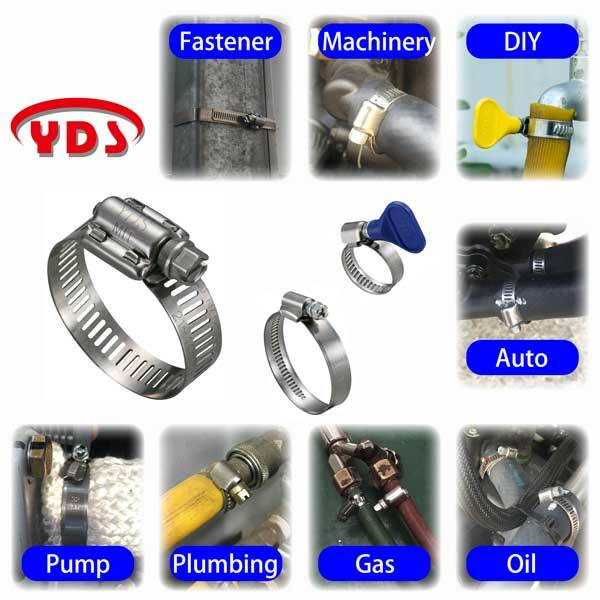 Q: Where are YDS hose clamps made in ? A: Our YDS hose clamps are made in Taiwan. Q: Is it possible for me to have free sample? 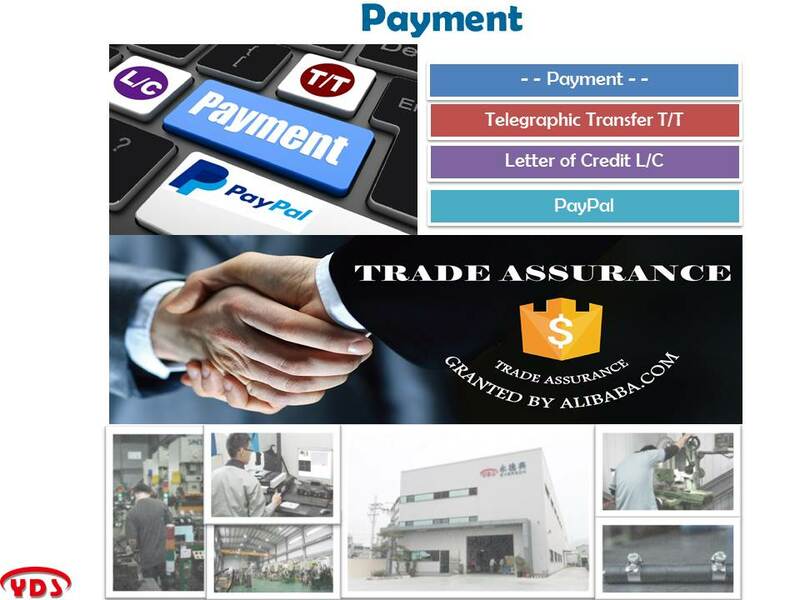 A: Yes, we can provide 10 pcs samples for free to check our products. Q: How long is your earliest delivery time ? A: For the small order, it would be 5-10 working days. For the big order, it would be 15-20 working days. A: Our payment term is by T/T, L/C or PayPal. Q: Is it possible to have customer's brand on hose clamps ? A: Yes, if the total order quantities is over 300,000 pcs per shipment, we can provide hose clamps with your own brand.